savoring a river drop in human history. 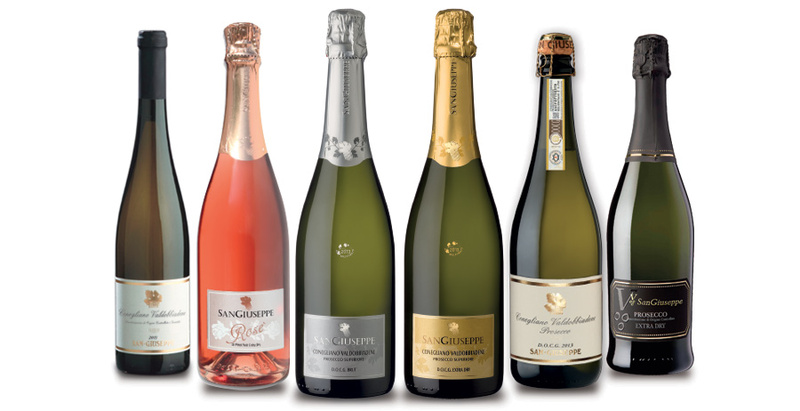 The agricultural business San Giuseppe is exclusively family owned. Founded in 1989 on the passion for both, wine as well as Giovanni Battistella’s area of origin, who is a former building contractor, that believed in the Prosecco’s potential and in the possibility of making his way into the Italian oenological practice. Since this, the purchase of the first vineyards in the town of San Pietro di Feletto, the corporate headquarters arises, as well as a growing awareness of its resources thanks to significant investments, achieving a state-of-the-art winery. About 5 years ago, but it is as if he had always been there, the son, Carlo, has entered business management. Carlo, a graduate of viticulture and oenology, followed his father’s footsteps, representing the present and the future of the family business. Please contact us via email or phone (see contact links) for further information about our tastings and reservations. You can buy wines directly in our company store and/or get some information about prices and minimum quantities by email or telephone. We ship all over Italy and abroad. Apart from the wine tasting, it’s possible to dive into the beautiful landscape of the vineyards right next to the winery. A cheerful companion for casual occasions, a great aperitif and optimal to be coupled with delicate and sophisticated lunches. An excellent aperitif, to be combined with shellfish and finest fish. Ready for any occasion, ideal to be consumed during fresh and light lunches. Accompanies elegantly sophisticated soups, fish, white meat and delicate cheese. Typically accompanies starters, especially raw fish and cold cuts, to be consumed as aperitif or after dinner with some dry biscuits.